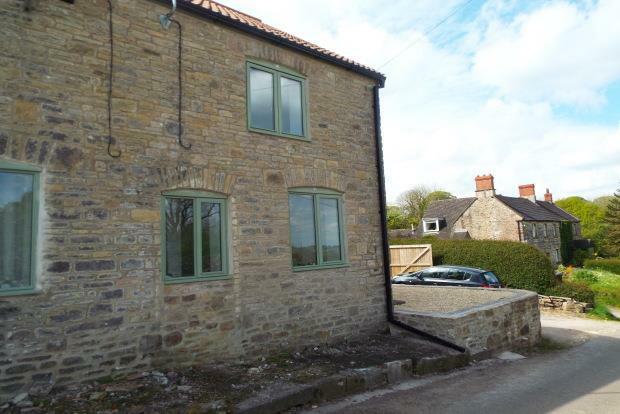 2 Bedroom House To Rent in Radstock for £825 per Calendar Month. A lovely rural two bed cottage on the outskirts of Stoke St Michael that benefits from large open plan living accommodation with log burner, large sunny garden and off road parking for several cars. Accommodation comprises: Entrance door into the utility room that has plumbing for a washing machine, dishwasher and a downstairs WC. A inner door leads into the large kitchen diner that has a good range of floor and wall units, tiled flooring, a rangemaster cooker, space for a fridge freezer and patio doors to the garden. A archway leads into the living space that has a log burner, laminated flooring, window to the front of the property and stairs lead up to the landing. On the first floor are two goodsized double bedrooms with high ceilings and a bathroom with modern white suite and shower over the bath. Outside to the rear is a large enclosed garden with a patio area and steps up to the lawn. To the front of the property is a small side garden and off road parking for several cars and large gates that lead to the rear of the property. The property will be painted throughout and needs to be viewed to appreciate the accommodation on offer.